You may have read some fancy stories and popular folklores to your kids during the bed time. There are many story lovers. Tabart’s collection of popular stories for the nursery is an interesting collection of 6 vintage stories for nursery children. Tabart’s collection in fact has three volumes and this is the first volume of the vintage collection. The Vintage collection of popular nursery stories has some world famous folklores of the past compiled together. The original version of the paper book is converted into eBook format and it retains the classic essence of the stories. 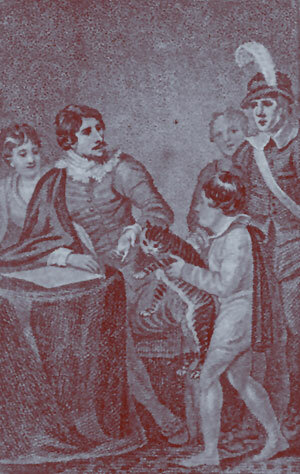 Whittington and his Cat is a story of a poor and young boy and his cat. He struggled hard to survive and his cat helped him. This is an inspiring story of a poor boy who transformed into a rich boy! The children in the wood is the story of children who were lost in the forest. Peronella is a fairy tale and a very popular folklore in the British. Every country has some staple folklores and fairy tales. For example, Cindrella, Thumbelina, etc. Peronella is one such interesting fairy tale. Fortunatus is a folklore featuring the adventurous life and achievements of a young man, who attained great success in his life. Griselda is one of the famous folklore characters of the past. She was known for her patience. The White Cat is also a fairy tale. Robin Hood is a famous superhero, who is so popular for several centuries. We have seen different takes and disguises of Robin Hood in different forms. Now, read the Robin Hood, the vintage hero. Every story featured in this eBook is unique and interesting. With different themes and plots, the stories are quite interesting to read. This collection of vintage and popular British stories makes an ideal bed time story collection to create an enjoyable bed time. Children will love to hear these stories. Besides, parents can ask the grown up kids to read the eBook on their own.